Everyone has a different definition for beauty mark but actually a dark mole on the face or neck which enhances the beauty is called as a beauty mark. It does not mean that all moles are beauty marks. A beauty mark should not be larger than a centimeter and it should be symmetrical as well. Moreover, if its protrude out, it will be considered as beauty marks. Usually, beauty marks or beauty moles are present around the lips or on the cheeks. However, it should be one, too many marks does not look beautiful. The marks appear on face before 20 years, someone gets the after that too, but at this age they are usually protruding out. Different myths are associated with beauty marks. For instance, according to Greeks beauty marks are created by God, as he was jealous of the beauty of people and want to create an imperfection on their faces. A lot of people have them naturally, but many are making them artificially too. Even in the 18th century, it was considered that beauty marks are the statement of fashion and many people get them artificially. Now a day, we can put them just like makeup, they are easy to remove in this way. Tatoo is another option, but they are kind of permanent. 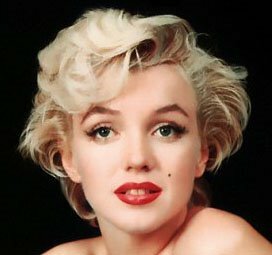 Some celebrities are famous for their beauty marks, Marilyn Monroe, Madonna and Mandy Moore are few of them. Some have beauty marks and want to remove them while others get artificially, it’s all about choices and fashion.